BESAN or CHICK PEA PANCAKES"Cheelas"
1. Take the beans in a bowl and add corn (steamed or microwaved). 2. Add diced red onions. 3. Add olive oil, cider vinegar, lime juice, salt & pepper. Taste to check seasoning. (adjust ingredients based on no. of people serving) Keep it covered with cling film in fridge or outside. 4. Right before serving, sprinkle freshly chopped basil & toss it. Also garnish with some chopped red tomatoes (remove seeds & soft portion) for color & taste. 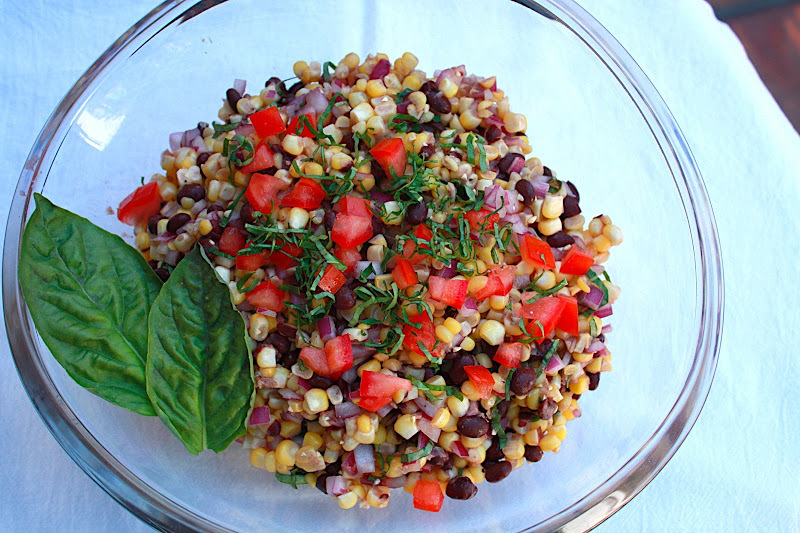 A nutritious, healthy colorful salad for your friends and family.